There are three cable types commonly used for Ethernet cabling: coaxial, twisted pair, and fiber-optic cabling. In today’s LANs, the twisted pair cabling is the most popular type of cabling, but the fiber-optic cabling usage is increasing, especially in high performance networks. Coaxial cabling is generally used for cable Internet access. Let’s expain all three cable types in more detail. 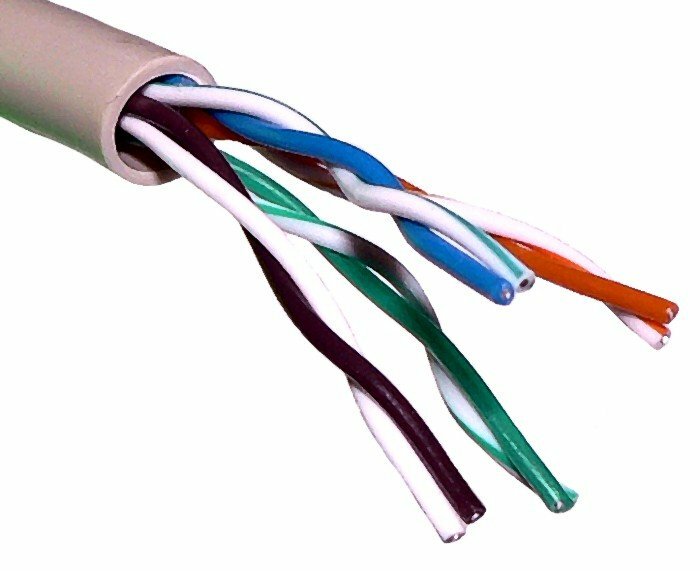 A twisted-pair cable has four pair of wires. These wires are twisted around each other to reduce crosstalk and outside interference. This type of cabling is common in most current LANs. Twisted-pair cabling can be used for telephone and network cabling. It comes in two versions, UTP (Unshielded Twisted-Pair) and STP (Shielded Twisted-Pair). 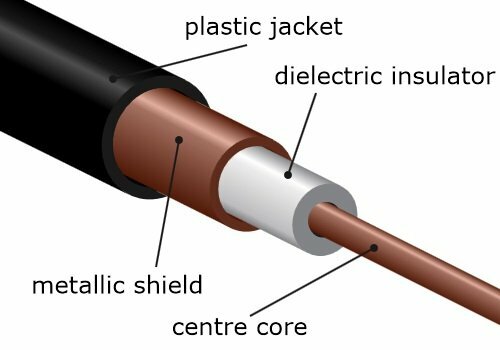 The difference between these two is that an STP cable has an additional layer of insulation that protects data from outside interferences. 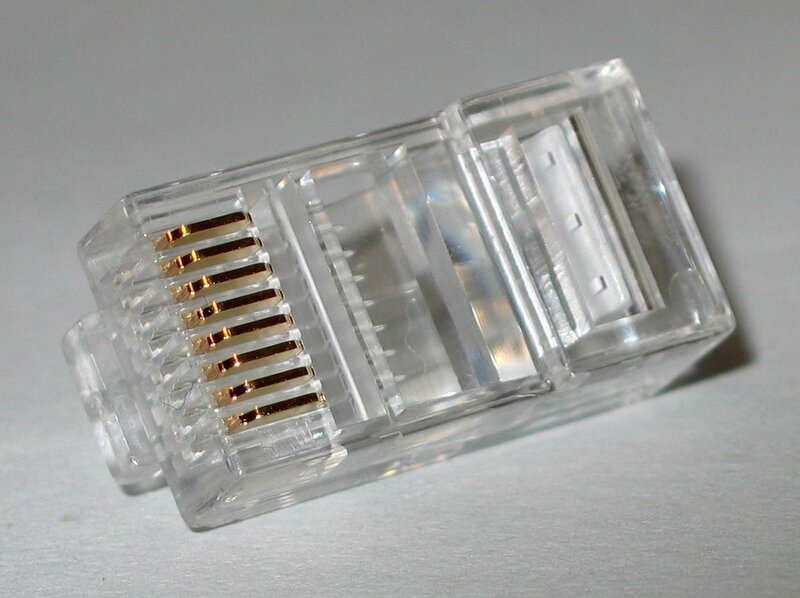 A twisted-pair cable uses 8P8C connector, sometimes wrongly referred to as RJ45 connector (Photo credit: Wikipedia). This type of cabling uses optical fibers to transmit data in the form of light signals. The cables have strands of glass surrounded by a cladding material (Photo credit: Wikipedia). This type of cabling can support greater cable lengths than any other cabling type (up to a couple of miles). The cables are also immune to electromagnetic interference. As you can see, this cabling method has many advantages over other methods but it’s drawback is that it is the most expensive type of cabling. Single-mode fiber (SMF) – uses only a single ray of light to carry data. Multi-mode fiber (MMF) – uses multiple rays of light to carry data.